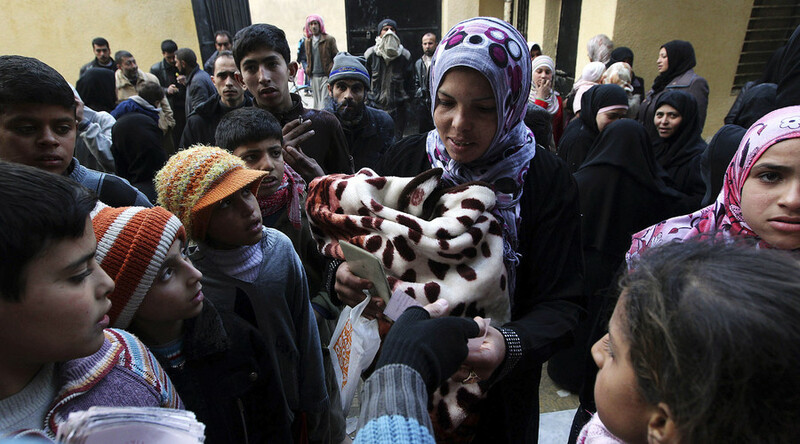 Russia and Syria are launching a large-scale humanitarian operation for Aleppo residents, Russia's Defense Ministry said. Corridors for civilians and militants ready to lay down arms will be created to exit the city, which was Syria’s largest before the war. “We have repeatedly called on the warring parties to reconcile, but the militants violated the silence mode each time, shelled villages, attacked the positions of government troops. As a result, a tough humanitarian situation has developed in the city of Aleppo and its suburbs,” Russian Defense Minister Sergey Shoigu said on Thursday. “To assist civilians taken hostage by terrorists, as well as militants who chose to lay down their weapons, the Russian center for reconciliation of the warring parties, together with Syrian authorities, will open three humanitarian corridors there,” Shoigu added. “I want to emphasize that we are taking this step, first and foremost, to ensure the safety of Aleppo residents,” the minister said. He has also urged international organizations to take part in the humanitarian operation in Aleppo. According to the minister, the fourth corridor for the passage of fighters in Aleppo is being set up only because the US has not provided Russia with data on the al-Nusra Front terrorist group, which has recently been attempting to merge with other armed opposition groups in Syria. Russia is still expecting to receive data on the whereabouts of the moderate opposition in Syria, Shoigu noted. Geopolitical analyst Patrick Henningsen told RT last month that he believes Washington is not doing enough to convince so-called “moderate” rebel groups to part ways with terrorists. By designating militants who share the same areas and positions as terrorists “moderate opposition,” the US is providing terrorists with a safe haven, Henningsen noted. He said that terror groups are benefiting from such neighborly relations in the same way they make use of civilians. “The classification of moderate rebels is a type of human shield,” he said, adding that the lack of a clear signal from Washington to the rebel groups is the result of a deliberate strategic choice made by the US government, which wants the military conflict to drag on. Some armed militant groups surrounded by the government army in Aleppo have declared readiness to lay down arms, a source told RIA Novosti on Thursday. 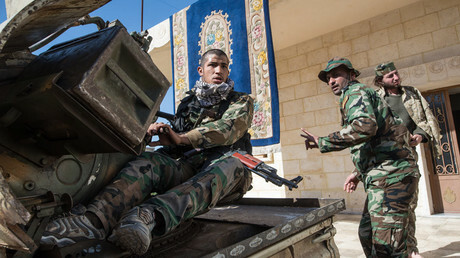 "Following a statement by the Syrian president [Bashar Assad] on amnesty [for surrendering militants], a number of militants have already expressed their willingness to lay down arms. I assume that in the coming days, the number of those wishing to follow [their example] will increase dramatically,” a source told the agency. “Today as never before, joint action is needed in the fight against terror. Russia is ready for this, without any preconditions, and calls on everyone to unite,” Shoigu said. "If we do not want a repeat of the Iraqi, Libyan, and Afghan scenario – the consequences of which have disentangled the world for quite a while – we offer our partners to unite, and instead of resorting to accusatory rhetoric, to focus on the implementation of the agreements reached in Moscow and Geneva last week," the minister added. At the request of US Secretary of State John Kerry, Russian experts have been sent to Geneva to work out joint steps designed to stabilize the situation in Aleppo, Shoigu said. He stressed that “concrete joint action to destroy terrorism” is very much needed, adding that there should be no preconditions for talks. "The Russian Defense Ministry is ready for such work,” Shoigu noted. Earlier this month, Russia and the US agreed on “concrete steps” to ensure a long-term ceasefire in Syria and fight their common enemies, al-Nusra Front and Islamic State. 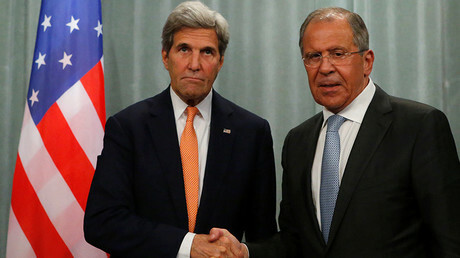 “We believe that those who remain in the positions occupied by [IS and al-Nusra Front] terrorists, despite numerous months of calls to leave [the areas], don’t differ much from terrorists,” Foreign Minister Sergey Lavrov said after meeting with Kerry in Moscow. When asked whether battling al-Nusra could harm anti-Assad forces, Lavrov pointed to Afghanistan and Libya, where getting involved with extremist forces brought nothing but chaos.